SFB 881 "The Milky Way System"
The SFB 881 public website is online! Detection and study of the least metal-enriched—hence presumably oldest—stars in our Milky Way. Direct study of the remains of the earliest still observable star formation events and their chemical and dynamical properties as a local window towards the first stellar populations in the Universe. Extremely metal-deficient stars hold clues to understanding the early star formation in the Universe shortly after the first stars formed and about the subsequent chemical evolution. During the first funding period, new methods to select very metal-poor candidates were developed. Spectroscopic follow-up showed that this improves the selection efficiency by a factor of two. With the enlarged samples, it could be shown that the transition from Population III and II.5 star formation to “normal” Population II low-mass star formation was smooth, contrary to earlier claims. As the Chinese LAMOST and the Australian Skymapper projects were delayed, which had been intended to be the main data resources to be used in A4, other surveys were used instead, including a new Large Programme at ESO called “TOPoS” initiated in A4. Moreover, considerable progress was made in developing advanced 3-D model atmospheres for low metallicities, an essential precondition for reliable abundance analysis. E. Caffau, M. Steffen, P. Bonifacio, H.-G. LUDWIG, L. Monaco,G. Lo Curto (2014), AN 335, 59: "Isotope Spectroscopy". L. SBORDONE, E. Caffau, P. Bonifacio, S. DUFFAU (2013), A&A 564,A109: "MyGIsFOS: an automated code for parameterdetermination and detailed abundance analysis in cool stars". E. Caffau, P. Bonifacio, L. SBORDONE, P. Francois, L. Monaco,M. Spite, B. Plez, R. Cayrel, N. CHRISTLIEB, P. Clark, S. Glover,R. Klessen, A. Koch, H.-G. Ludwig, F. Spite, M. Steffen, S. Zaggia(2013), A&A 560, A71: "TOPoS: I. Survey design and analysis ofthe first sample". E. Caffau, P. Bonifacio, P. Francois, L. SBORDONE, M. Spite,L. Monaco, B. Plez, F. Spite, S. Zaggia, H.-G. Ludwig, R. Cayrel,P. Molaro, S. Randich, F. Hammer, V. Hill (2013), A&A 560, A15:"X-Shooter GTO: evidence for a population of extremely metal-pooralpha-poor stars". R. Samadi, K. Belkacem, H.-G. LUDWIG, E. Caffau, T.L. Campante,G.R. Davies, T. Kallinger, M.N. Lund, B. Mosser, A. Baglin,S. Mathur, R.A. Garcia (2013), A&A 559, A40: "Stellar granulationas seen in disk-integrated intensity II. Theoretical scalingrelations compared with observations"
R. Samadi, K. Belkacem, H.-G. LUDWIG (2013), A&A 559, A39:"Stellar granulation as seen in disk-integratedintensity. I. Simplified theoretical modeling". V. Dobrovolskas, A. Kucinskas, M. Steffen, H.-G. LUDWIG,D. Prakapavicius, J. Klevas, E. Caffau, P. Bonifacio (2013), A&A559, A102: "Three-dimensional hydrodynamical CO5BOLD modelatmoslheres of red giant stars III. Line formation in theatmospheres of giants located close to the base of RGB"
V.M. Placco, A. Frebel, T.C. Beers, A.I Karakas, C.R. Kennedy,S. Rossi, N. CHRISTLIEB, R.J. Stancliffe (2013), ApJ 770, 104:"Metal-poor Stars Observed with the MagellanTelescope. I. Constraints on Progenitor Mass and Metallicity ofAGB Stars Undergoing s-process Nucleosynthesis".P.-E. Tremblay, H.-G. LUDWIG, B. Freytag, M. Steffen, E. Caffau(2013), A&A 557, 7: "Granulation properties in giants, dwarfs,and white dwarfs from the CIFIST 3D model atmosphere grid". E. Caffau, H.-G LUDWIG, J.-M. Malherbe, P. Bonifacio, M. Steffen,L. Monaco (2013), A&A 554, 126: "The photospheric solar oxygenproject: II. Non-concordance of the oxygen abundance derived fromtwo forbidden lines". E. Caffau, A. Koch, L. SBORDONE, P. Sartoretti, C. J. Hansen,F. Royer, N. Leclerc, P. Bonifacio, N. CHRISTLIEB, H.-G. Ludwig,E.K. Grebel, R.S. de Jong, C. Chiappini, J. Walcher, S. Mignot,S. Feltzing, M. Cohen, I. Minchev, A. Helmi, T. Piffl, E. Depagne,O. Schnurr (2013), AN 334, 197: "Velocity and abundanceprecisions for future high-resolution spectroscopic surveys: astudy for 4MOST". M. Spite, E. Caffau, P. Bonifacio, F. Spite, H.-G. LUDWIG,B. Plez, N. CHRISTLIEB (2013), A&A 552, 107: "Carbon enhancedmetal-poor stars: the most pristine objects?". T.R. Ayres, J.R. Lyons, H.-G. LUDWIG, E. Caffau, S. Wedemeyer-Bohm(2013), ApJ 765, 46: "Is the Sun Lighter than the Earth? IsotopicCO in the Photosphere, Viewed through the Lens of 3D SpectrumSynthesis". H.N. Li, H.-G. LUDWIG, E. Caffau, N. CHRISTLIEB (2013), ApJ 765,51: "Fluorine Abundances of Galactic Low-Metallicity Giants". 14. J.E. Norris, D. Yong, M.S. Bessell, N. CHRISTLIEB, M. Asplund,G. Gilmore, R.F.G. Wyse, T.C. Beers, P.S. Barklem, A. Frebel,S.G. Ryan (2013), ApJ 762, 28: " The Most Metal-poorStars. IV. The Two Populations with [Fe/H] < -3.0". D. Yong, J.E. Norris, M.S. Bessell, N. CHRISTLIEB, M. Asplund,T.C. Beers, P.S. Barklem, A. Frebel, S.G. Ryan (2013), ApJ 762,27: "The Most Metal-poor Stars. III. The Metallicity DistributionFunction and Carbon-enhanced Metal-poor Fraction". D. Yong, J.E. Norris, M.S. Bessell, N. CHRISTLIEB, M. Asplund,T.C. Beers, P.S. Barklem, A. Frebel, S.G. Ryan (2013), ApJ 762,26: "The Most Metal-poor Stars. II. 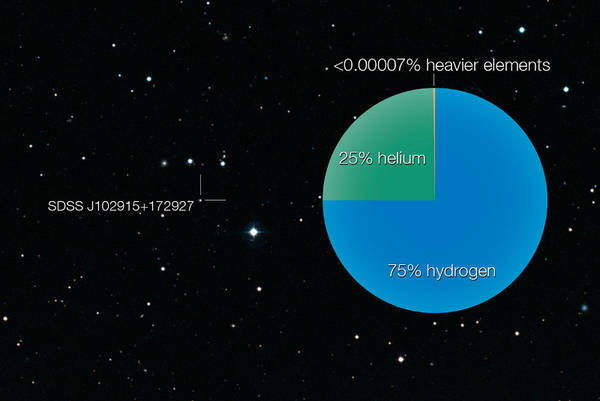 Chemical Abundances of 190Metal-poor Stars Including 10 New Stars with [Fe/H] <= -3.5". J.E. Norris, M.S. Bessell, D. Yong, N. CHRISTLIEB, P.S. Barklem,M. Asplund, S.J. Murphy, T.C. Beers, A. Frebel, S.G. Ryan (2013),ApJ 762, 25: "The Most Metal-poor Stars. I. Discovery, Data, andAtmospheric Parameters". C. Allende Prieto, L. Koesterke, H.-G. LUDWIG, B. Freytag,E. Caffau (2013), A&A 550, A103: "Convective line shifts for theGaia RVS spectral range from the CIFIST 3D model atmosphere grid". A. Kucinskas, M. Steffen, H.-G. LUDWIG, V. Dobrovolskas,A. Ivanauskas, J. Klevas, D. Prakapavicius, E. Caffau,P. Bonifacio (2013), A&A 549, 14: "Three-dimensionalhydrodynamical CO5BOLD model atmospheres of red giant stars II.Spectral line formation in the atmosphere of a giant located nearthe RGB tip". H.-G. LUDWIG, A. Kucinskas (2012), A&A 547, A118:"Three-dimensional hydrodynamical CO5BOLD model atmospheres of redgiant stars. I. Atmospheric structure of a giant located near theRGB tip." P. Bonifacio, L. SBORDONE, E. Caffau, H.-G. Ludwig, M. Spite,J.I. Gonzalez Hernandez, N.T. Behara (2012), A&A 542, 87:"Chemical abundances of distant extremely metal-poor unevolvedstars". E. Caffau, P. Bonifacio, P. Francois, M. Spite, F. Spite,S. Zaggia, H.G. Ludwig, M. Steffen, L. Mashonkina, L. Monaco,L. SBORDONE, P. Molaro, R. Cayrel, B. Plez, V. Hill, F. Hammer,S. Randich (2012), A&A 542, 51: "A primordial star in the heart ofthe Lion". J. Ren, N. CHRISTLIEB, G. Zhao (2012), RAA 12, 1637: "A search formetal-poor stars pre-enriched by pair-instability supernovae I. Apilot study for target selection from Sloan Digital Sky Survey". J.E. Norris, N. CHRISTLIEB, M.S. Bessell, M. Asplund, K. Eriksson,A.J. Korn (2012), ApJ 753, 150: "The Oxygen Abundance of theUltra-metal-poor Star HE 0557-4840". T. Masseron, J.A. Johnson, S. Lucatello, A. Karakas, B. Plez,T.C. Beers, N. CHRISTLIEB (2012), ApJ 751, 14: "Lithium Abundancesin Carbon-enhanced Metal-poor Stars". J. Ren, N. CHRISTLIEB, N., G. Zhao (2012), A&A 537, 118: "TheHamburg/ESO R-process Enhanced Star survey (HERES). VII. Thoriumabundances in metal-poor stars". V.M. Placco, C.R. Kennedy, T.C. Beers, N. CHRISTLIEB, S. Rossi,T. Sivarani, Y.S. Lee, D. Reimers, L. Wisotzki (2011), AJ 142,188: "Searches for Metal-poor Stars from the Hamburg/ESO SurveyUsing the CH G Band".